At artgenève 2019, Taste Contemporary presented a solo exhibition of new work by Philip Eglin, whose expressive ceramic work reflects and comments on contemporary culture. Although widely known for his figurative work, he also makes large-scale bucket and jug forms and created a number of new pieces especially for artgenève 2019. Taste Contemporary also presented a group exhibition of recent works by some of its well known gallery artists including Virginia Leonard, Johannes Nagel, Heidi Bjørgan, Alison Britton, Anne Marie Laureys, Marit Tingleff and Kari Dyrdal. 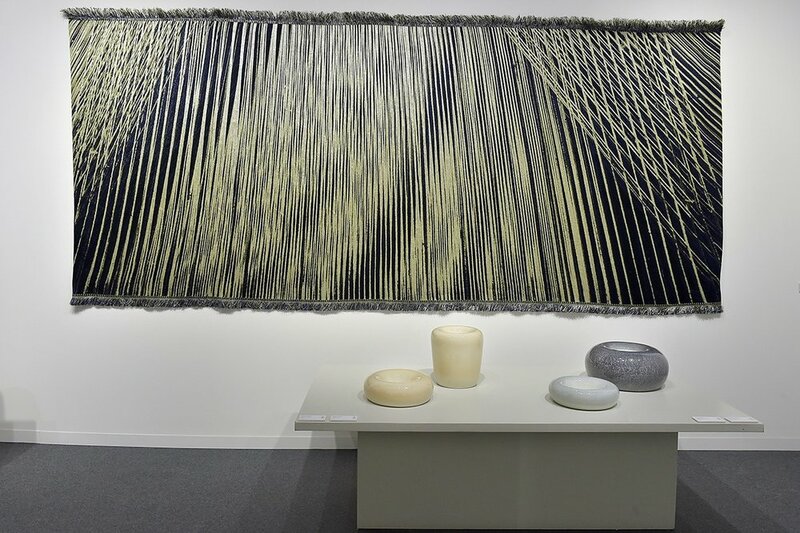 In addition Taste Contemporary was delighted to exhibit, for the first time at artgenève, work by Ptolemy Mann, Pernille Braun and Gunnar Thorsen. Group exhibition at artgenève 2019 featuring work by [left to right] Marit Tingleff, Alison Britton, Kari Dyrdal, Virginia Leonard, Heidi Bjørgan and Ptolemy Mann. Group exhibition at artgenève 2019 featuring work by [left to right] Anne Marie Laureys, Pernille Braun and Virginia Leonard. Ajar; solo show of work by Philip Eglin at artgenève 2019. Group exhibition at artgenève 2019 featuring work by [left to right] Pernille Braun and Johannes Nagel. Group exhibition at artgenève 2019 featuring work by Kari Dyrdal and Gunnar Thorsen..